Although the Panmunjeom Declaration signed between the two Koreas on Friday minimized economic cooperation, it still left ample room for the possibility of future cooperation between the two nations in resource development, infrastructure investment and the resumption of the Kaesong Industrial Complex. The Panmunjeom Declaration included the phrase “actively pushing for the businesses agreed in the declaration on Oct. 4 in 2007” between former president Roh Moo-hyun and former leader Kim Jong-il. Potential cooperation in mineral resources located in North Korea was immediately underscored as the 2007 declaration includes it. While South Korea -- the world’s fifth largest mineral consumer -- relies heavily on imports from other nations, North Korea has 42 kinds of minerals, whose potential value is estimated at around 3,000 trillion won ($2,700 billion), according to the Korea Resources Corporation. The North also has a reserve of rare earth, which is necessary for production of digital devices, including smartphones and computers, which Korean firms lead in the global market. “Mineral resource is the most distinct asset that North Korea has. The development of minerals is the easiest way for North Korea to repay when South Korea grants a loan for infrastructure investment,” said Kim Young-hwan, a senior researcher at KB Investment & Securities. Apart from mineral resources, expectation of reopening the Kaesong Industrial Complex was also put back into focus, two years after it was suspended by Seoul in retaliation for the North’s nuclear test and missile launch. The industrial complex was also included in the 2007 declaration and the two Koreas’ consent on Friday to set up a communications office in Kaesong -- not in Panmunjeom as many analysts expected -- further raised anticipation for the resumption of the complex. According to a survey by the Korea Federation of Small and Medium Business done earlier this month on 101 companies which previously had done business in the complex, 96 percent of the respondents said they have an intention of restarting their business in the complex. Some 80 percent of them said the complex has a competitive edge over other complexes located at home and abroad, mainly due to its cheaper and abundant labor costs. “The resumption and extension of the Kaesong Industrial Complex will be a signal to giving shape to South Korea’s new economic roadmap,” said Choi Yoon-kyu, chief of Korea Federation of Small and Medium Business’ industrial trade division. In the Panmunjeom Declaration, the two sides also agreed to work together to connect and modernize their border railways as the first step. The plan includes taking practical steps to utilize the Gyeongui railway, which links Shinuiju, a city on the Korean Peninsula’s border with China, and Seoul. South Korea’s Transportation Ministry said Sunday it is reviewing a set of measures to prepare a potentially full-fledged implementation of cross-border economic projects. “We are working on reviews of studies done in the past, and a task force may be set up to iron out follow-up measures (to the summit),” said an official at the ministry. If the railway -- once completed -- can be connected with Trans-Siberian railway, a network of railways connecting Moscow with the Russian Far East, it can send people and goods from Busan in Korea to Europe. 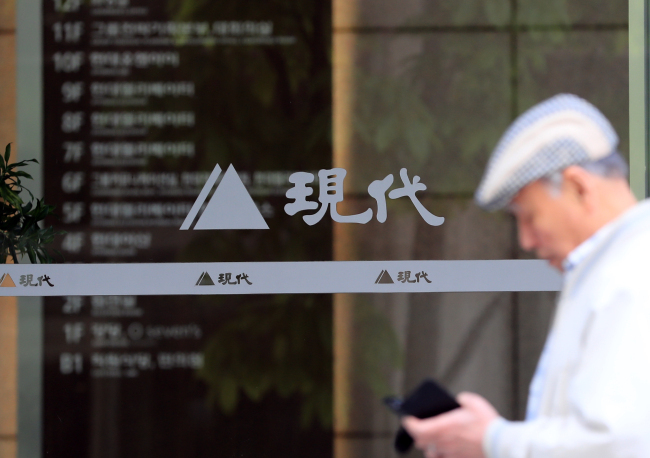 Following the summit on Friday, a change of atmosphere was felt by Hyundai Asan, an arm of the Korean conglomerate Hyundai Group and a major investor in North Korea. The company manages a number of projects, including the resort at the Mount Kumgang tourist region and road and rail building operations. It is also involved in the Kaesong Industrial Complex project. Its tourism business in Mount Kumgang started in 1998 but halted in 2008 after a South Korean tourist was killed by a North Korean soldier. Since, its losses have been estimated at around 1.5 trillion won. “We have maintained the manual for tourism in the North’s Mount Kumgang for the time when sanctions are lifted. We aim to start the business within three months when (the two governments) okay the business,” said a spokesperson of Hyundai Asan. Park Yong-maan, chairman of the Korea Chamber of Commerce and Industry, said, “When the time comes for economic cooperation and exchange (between the two Koreas), everybody should make efforts for mutual prosperity for the nation’s future,” on his Facebook page after attending the dinner for the summit on Friday. Under former presidents Kim Dae-jung and Roh Moo-hyun administrations, KCCI had served as a medium for direct and indirect communication channel with North Korea’s Joseon Chamber of Commerce and Industry.